Mark Musgrave, founder of The Level Collective, describes the inspiration behind his latest release; a hand-crafted Pocket Knife. 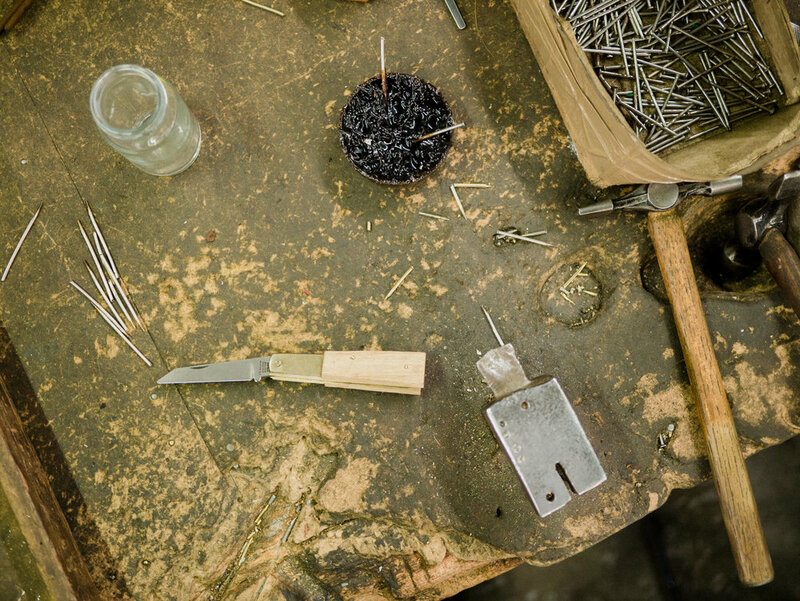 He outlines the care and attention to detail given to each individual knife, sighting this as his initial reason for creating such a beautifully crafted product. So what made you decide to create a Pocket Knife? Well, we're an ethical outdoor supplies brand based in Sheffield, UK – a city surrounded by the stunning Peak District National Park and famous for it's industrial heritage, especially knife-making. From day one we've hand screen printed our t-shirts and sweaters here in Sheffield, but about 2 years ago I decided that I wanted to create more British-made, premium outdoor supplies. I spent a long time designing our Winnats Roll Top Backpack which I funded via Kickstarter back in September, and they seem to have gone down really well. With so much generic mass produced apparel everywhere, there's a niche but growing interest in locally made, small-batch, hand crafted, beautiful products. Designing such products is what excites me. To me, it made sense to parter with a company just around the corner to create an Outdoor Pocket Knife. So what is the production process like? Walking into the workshop was like stepping back in time. The warm air, the smell of oil and industrial dust, the hum of machinery and the cacophony of hammering. 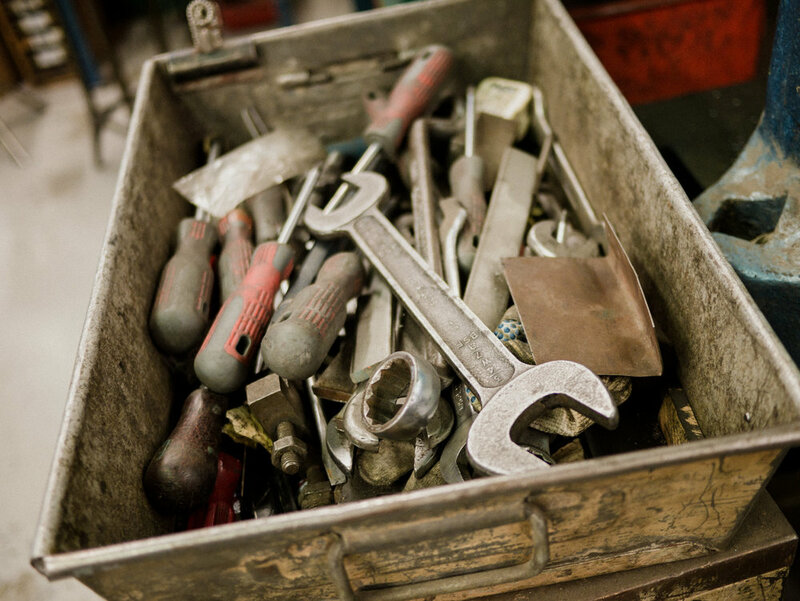 My mind was awash with nostalgia from my grandfathers old workshop from when I was a young child. He was a gifted metallurgist and forged bespoke iron gates back in the day. I had the privilege of documenting Steve making our knives from just a few simple blocks of wood and some stainless steel blades. Steve has been making knives professionally for 15 years now and actually made his first knife at just 9 years old after being shown how to by his father. Clearly this sparked a fire in his heart that hasn't gone out. He worked at a swift, confident pace. Never rushing; a master craftsman at work. You could tell he still really took pride in making each knife, and the care and attention to detail was captivating. I was amazed at the sheer number of processes involved and the various grinding wheels that needed to be swapped in order to shape and polish every element. I was also surprised at how much fierce hammering it required to make something so look so refined and beautiful. It really was an honour to experience the whole creative process. As a result I feel a real connection with the Pocket Knife because I've witnessed the level of craft and care that went into each one, especially because it took place at the heart of the city I call home. Hopefully this photo journal captures something of the story and essence of crafting this knife. 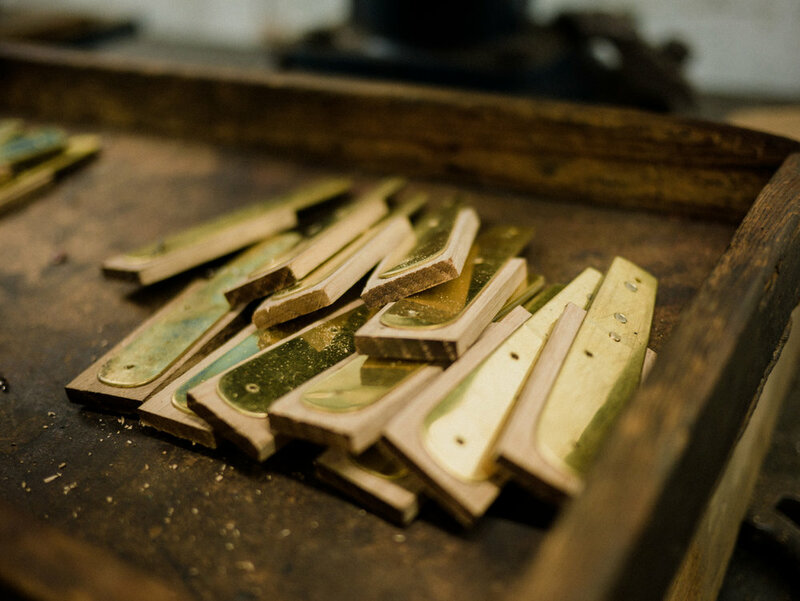 To find out more about the Sheffield Pocket Knife you can visit The Level Collective here.